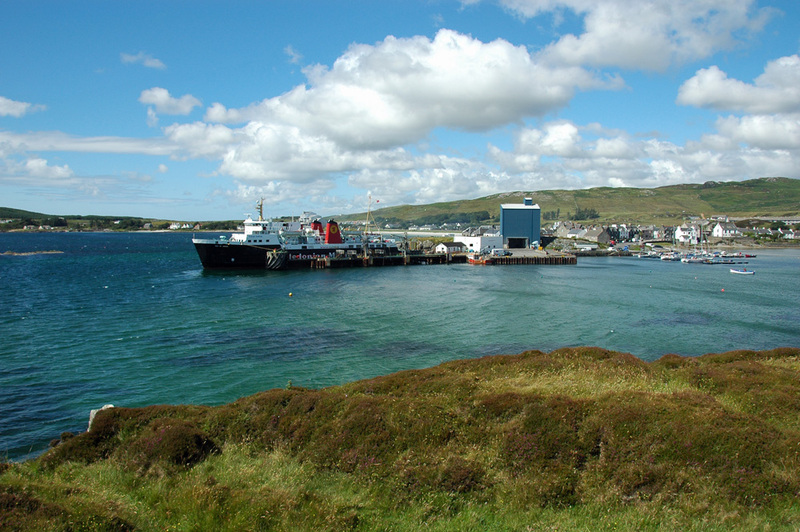 A nice view of Port Ellen from the Ard, the pier with the (now former) Islay ferry MV Isle of Arran in the centre. On the right Port Ellen Marina. Behind the ferry you can just see the Port Ellen Maltings, the remaining warehouses from the long closed distillery are hidden behind the ferry. This entry was posted in Distilleries, Landscape, Repost, Sunny Weather, Village and tagged Islay, MV Isle of Arran, Port Ellen, Port Ellen Maltings by Armin Grewe. Bookmark the permalink. Thanks for this lovely picture. Have good memories of Port Ellen. You’re welcome, good to hear you like it!